Miniature sputnik and model of missile, 1958.
her father, Henry E. Hall, with missile model and miniature sputnik. Sixth grade class of Little Lake School, Santa Fe Springs, in background. 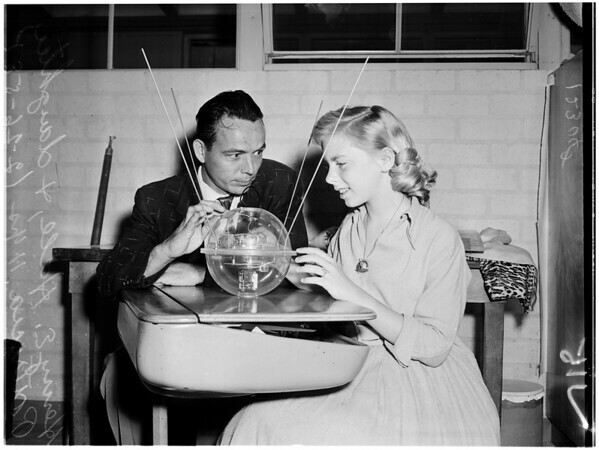 15: Henry E. Hall and daughter, Patricia, 11, with working model of sputnik they made for cub scout pack 881-C. Monday".